When I started my account @kmart_kidz back in April 2015 I had absolutely no idea about the astonishing amount of incredibly talented, incredibly creative people there were to be found within the world of Instagram. Of course, the majority of my posts were dedicated to Kmart finds – sun and cloud pillows, ‘bambi’ clocks, jute rugs, panda dresses and tiger jumpers – but many of those posts also showcased some beautiful hand-made items lovingly styled in the bedrooms, nurseries and playrooms of lucky little ones all around Australia or an intricately created accessory paired with the latest Kmart outfit. I have always been very conscious of crediting/tagging the businesses behind these items – I can only imagine how much work goes into making them and, to be honest, I’m quite envious that I don’t have a talent for making anything myself – but now I’ve moved away from a Kmart-dedicated account and have this website/blog it gives me a little more creative license to write about what I find upon my extensive travels through Instagram, what wows me and what I love! With that being said, I am always open to feedback so after reading my first Made with Love Monday post if you think I can do anything more, less, better etc. 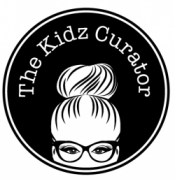 please don’t hesitate to drop me a line on hello@thekidzcurator.com – I’d love to hear from you! Tell me about how your business came about: I’ve always had a fascination with all things miniature. Every year I do a large Christmas display (fundraiser for Make-A-Wish Aus) with a Christmas Village that people come a view through the front window. It brings me great joy to see the excitement on faces young and old. When I started making Dollshouse miniatures I found that I was creating more items that I could ever have dollshouses to put them in and that the creative ideas just kept coming. Opening a small business was the logical next step and it has been very rewarding so far! What is your current favourite product? That’s a hard one, I love my new oak range of furniture and my felt wall hangings. I am very exciting for my upcoming Christmas range to be released soon – dollhouses deserve Christmas decorations too! Do you make custom orders? Yes, absolutely. I love custom orders – I really get to unleash my creative side. Tell me about you: I’m 36 and live in Geelong Vic. My day job is in Corporate Real Estate and I run All Things Miniature in my “spare” time. I also run the page Geelong.Shopping.Guide and it’s been great getting to know local Geelong creatives. Thanks so much for sharing with us Danielle and I’m wishing you every success with your amazing business! ← The Kidz Curator Loves… SWAGGIES: roll on nap time!